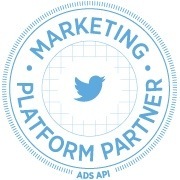 Building on their year of a full-fledged API partner program, Twitter had renamed the effort to more accurately reflect the partners they have. Say hello to the Twitter Marketing Platform Program. The change, announced in a recent blog post, more accurately reflect the group, which includes partners who bring measurement and targeting to the table.